Measure every metric you want to improve business performance. Make decisions backed by data. Use intelligent reporting to break down key metrics. Use reports to analyze trends across all of the EngageBay tools you use. 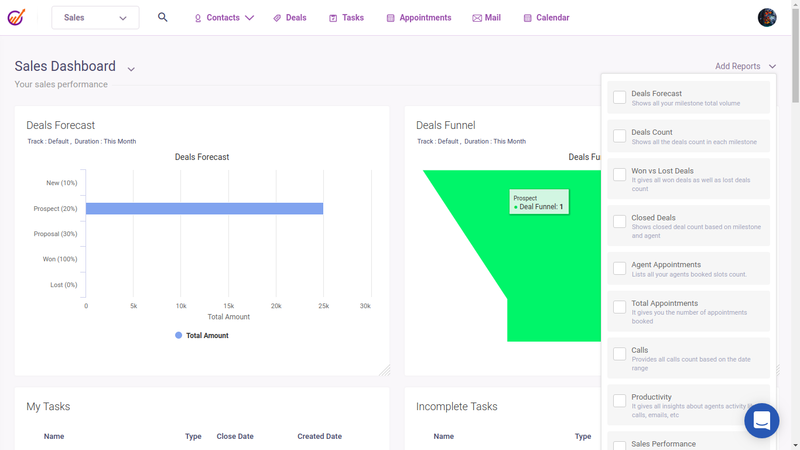 All EngageBay accounts come with standard dashboards for your tools which allows you to generate CRM reports and reports for your marketing activities. 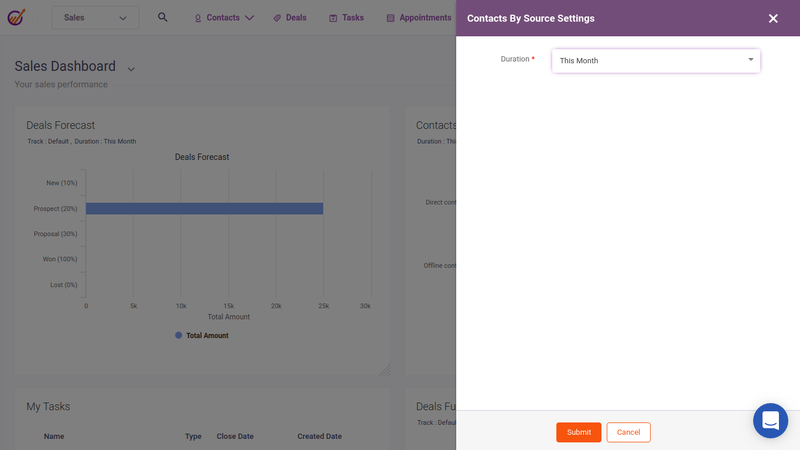 Break down the data into bits and pieces, and generate custom reports to view exactly what you want. Create customized dashboards for various parameters you need to analyze and generate reports concerning the parameters you choose. These reports show data with great precision and accuracy. Use the CRM reports to identify the trends and implement corrective measures to achieve great results for your business. Schedule delivery of reports automatically to your mail box based on your needs and avoid the hassle of manually generating reports. Share the automated CRM reports with the concerned stake holders for them to act on. 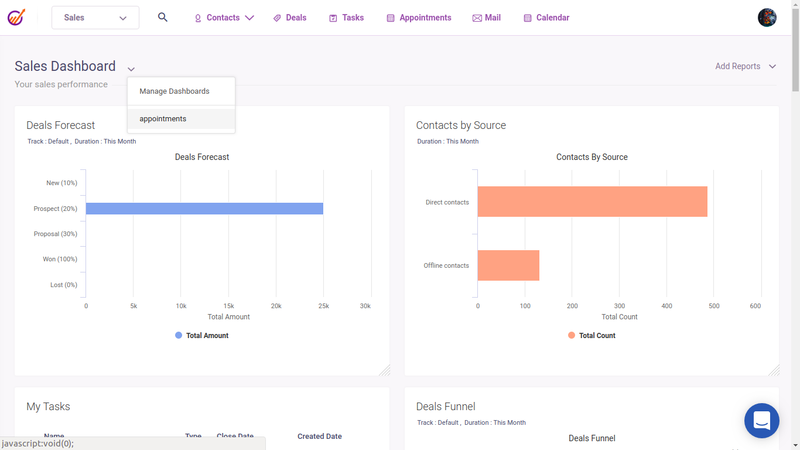 Generate reports to identify the growth you have achieved in terms of acquiring new leads and increasing conversions. Gain insights on how you performed and implement necessary changes to scale. 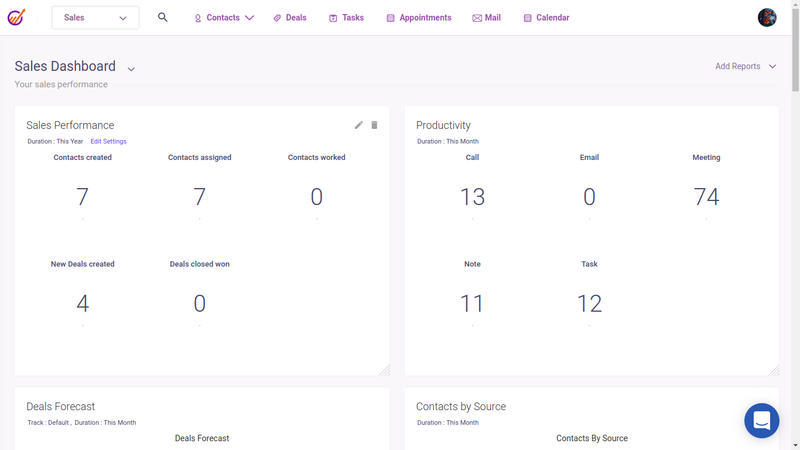 Our CRM reporting is powerful and effective, helps you get closer to achieving your goals. 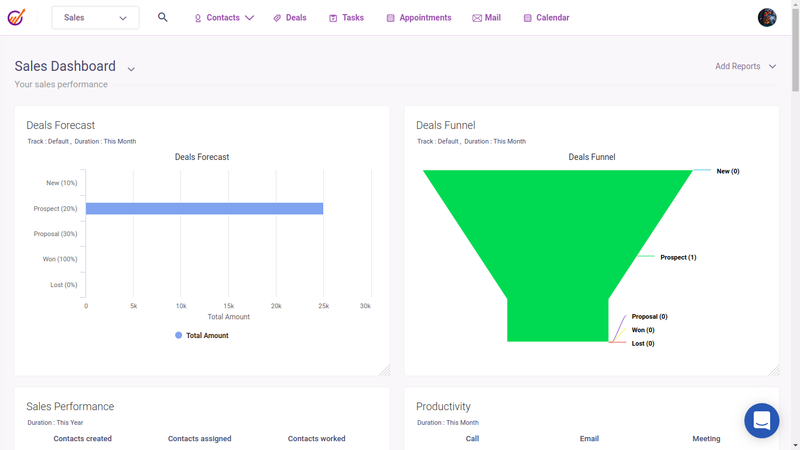 Gain insights on how you are traversing through the deal funnel and estimate the time taken to move deals from one stage to another. Change your game plan based on these visual clues and enable your team to deliver better results each time.